Is that a bear? Nope! Is that a dog? Well, it's both a dog and a bear and it just may be the cutest thing that we have ever seen! If you're a dog owner, you probably spend a majority of your day trying to please your pooch. Walks, treats, and belly rubs are just a few of the things you do in order for your fur baby to live a happy life. And it return, your little fluffy ball of love cuddles up with you every night and provides you with lots of snuggles and wet kisses. But is that really enough? We think it's about time that your dog goes above and beyond for YOU. You spent all those hours playing fetch in the backyard with him, and now we think your pup should do something extra sweet for you. 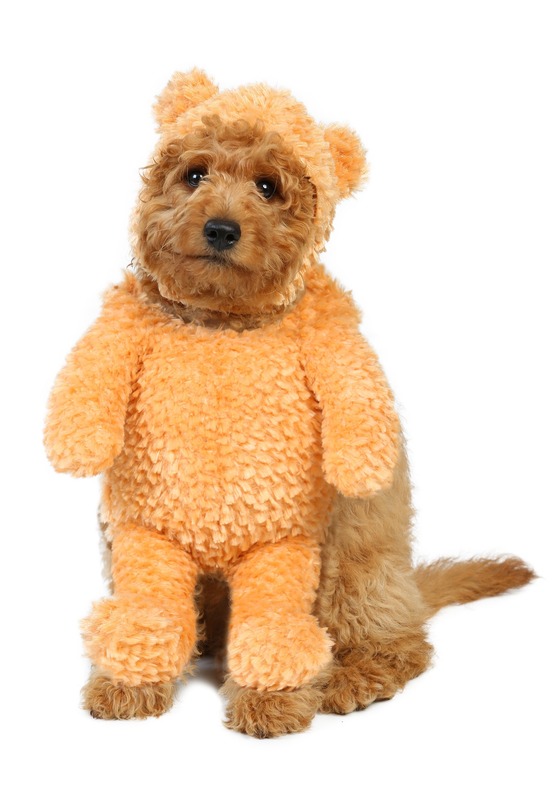 Dressing your little four legged pal in this teddy bear costume is the perfect way for your pooch to repay you for being such a great owner. Now, you not only have an adorable dog, but you will also have a teddy bear/dog hybrid and seriously... what combination is more delightful than that? Just attach the plush costume around your pup and get ready to hear people squeal with joy once they see your cute canine walking down the street. Make sure you have your camera ready so you can take a picture and post it on social media so everyone can see your darling little tail-wagging BFF! 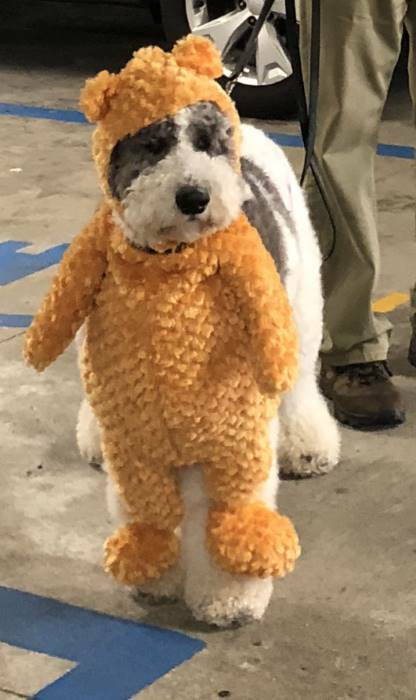 Great teddy bear costume. Made well, great fit, adorable..